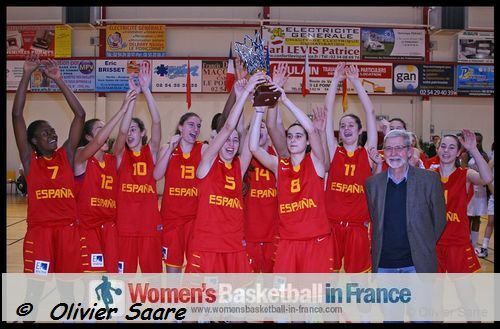 Are Spain U16 the best at youth international basketball? The Spanish U16 youth international basketball programme is so well organised that all tournaments are taken seriously. They came to Poinçonnet with 12 players and a delegation of eight members and walked away with the winner's trophy. Despite a slow start into their opening match Spain eased past the Czech Republic (84-66). On the second day they blew away Turkey (101-40). 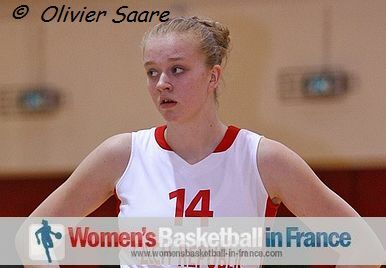 France on the other hand had to work much harder for their victories: overtime was required to get past Turkey (64-54) on the first day while they outscored the Czech Republic (71-66) for their second win. For the third day expectations were high for both countries, Spain and France. Spain went on the attack from the tip-off. With Angela Salavadores (in picture) on fire her side won the first quarter (20-11). France tried everything to stop their opponents. But Spain were stronger in all sectors of the game and went into the break leading (38-25). During the third quarter Spain showed that they are also good at defending and conceded just 7 points while scoring 19. The contest was more or less over (57-32) by the end of the third quarter. France did not give up and had the better of the last quarter. 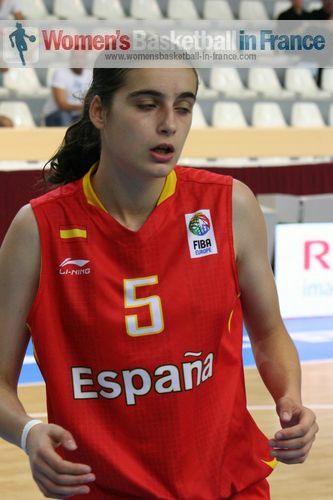 However it was not enough to make up the deficit and Spain won (66-50). In the match for third place the Czech Republic beat Turkey (71-57). Yet the Czech Republic had to wait until the final quarter to pull away from their opponents. The Czech Republic roster is not likely to change by summer. Petra Holesinska, Julie Reisingerova (in picture) and Karolina Fadrhonsova are three players to watch out for. All during the tournament Turkey ran their hearts out and showed a lot of promise. Apart from the defeat against Spain they were competitive and can only get better. The player Irem Naz Topuz should have an interesting future ahead of her. Spain only came to France with 12 players. They still another four players we have not seen. The biggest problem for Evaristo Pérez is to select 12 players for the European Championship. France still have more work to do and it is the belief of wbbif that the squad was missing players. So we have to wait until the U16 selection goes to Luxembourg in May to pass judgement.